The Earthly Journey of Thomas Tyson began in Jackson, Tennessee on March 17, 1950, as the son of Lois Cole and JT Tyson. During his early years he was raised by Liza Mathews, (his father’s aunt) affectionately known as “Auntie”. After his father JT met and married Alice Elizabeth Robertson Tyson, Thomas began to reside with them as a family. Thomas’ early education took place in Jackson, TN until the family relocated t Columbus, Ohio. He continued his education within Columbus City Schools and attended Roosevelt Jr. High and South High School. After receiving his G.E.D, Thomas earned his Associates Degree and also attended Culinary School. He was introduced to the Lord at an early age and began his Christian experience at Mount Zion Baptist Church until his family transitioned their membership to Ebenezer Baptist Church under the leadership of Pastor LC Brown Sr. Thomas fathered two beautiful daughters, Nicole Albert and Talitha Williams. He later met and married his sweetheart Gloria Watson and was blessed with two additional children, Antonio and Nia. While their marriage lasted a short while, he and Gloria remained very close friends. He was a man of many passions and experienced many life challenges; But his greatest passion and source of strength was derived from his family and God’s sustaining unconditional love. He recognized the importance of having Christ in his life and surrendered his life to the Lord. He will be sorely missed. He was preceded in death by his paternal grandparents; JK Daniel and Louise Tyson. Maternal Grandparents, Tom and Mary Robertson; Parents JT and Alice Tyson; Sister-in-Laws, Kimley L. Tyson and Soroya Walton; Various aunts, uncles, and cousins. He leaves to cherish his memory: Birth mother, Lois Cole Lacy; daughters, Nicole Albert and Talitha Williams; Brothers, David (Geneva Cole, Tony (Jennifer) Tyson, Alan B. Tyson, Sr; Grandchildren, Jermain Albert, Tachaun Williams, Samantha and Samara Williams; Neice, Dominique Tyson; Nephews, Jason Tyson, Alan Blain (Daijai) Tyson II, Emanuel Tyson; Special Friend, Gloria Watson and a host of relatives and friends. 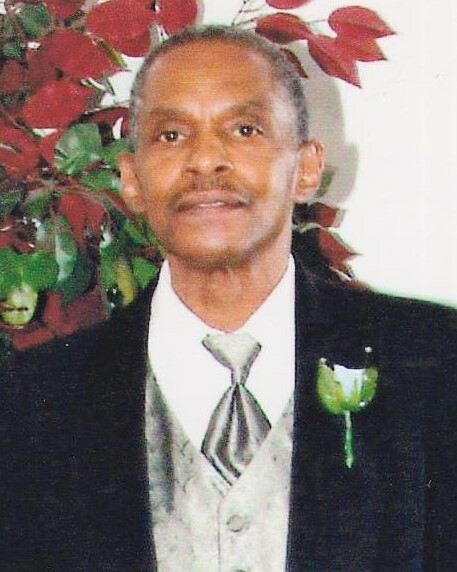 Family will receive friends on Friday, February 1, 2019 at 10:00am until time of service at 11:00am at the Chapel of White's Funeral and Cremation Services, 867 S. JAMES ROAD, COLS, OH 43227, BENJAMIN F. “BENNY” WHITE, JR, FUNERAL DIRECTOR, (614)947-1123, whitesfh867.com.